Academic Staff So, Stella L. M.
Prof. Stella So is currently Associate Professor of Marketing, Assistant Dean of School of Management and Economics, and Associate Master of Muse College at The Chinese University of Hong Kong (CUHK), Shenzhen. Before joining CUHK-Shenzhen, she has been Associate Professor of Marketing and Associate Dean of CUHK in the period of 1986 -2014. Prof. So’s research has been published in various marketing journals, such as Journal of Consumer Marketing, Journal of Current Issues and Research in Advertising, International Journal of Hospitality Management, International Journal of Bank Marketing etc. She won the Excellent and Outstanding Award of the Year of Journal of Consumer Marketing in 2002. Prof. So also actively involved with community services, such as chairperson of the OneCom for Education Bureau, member of Examination Board etc. Stella Lai-man So, Lara Mourad, and Joanne Anast (2010), “Hong Kong: Female Immigrant Entrepreneurs from Mainland China.” In Female Immigrant Entrepreneurs, 1st ed., pp. 53-60. Stella Lai-man So and Oliver H. M. Yau (2006), “Chinese Husbands: A Path-Analytic Study of a Model of Family Buying Decisions,” Asia Pacific Management Review, 11(5), 283-294. Alan Ching-biu Tse, Stella Lai-man So, and Leo Yat-ming Sin (2006), “Crisis Management and Recovery: How Restaurants in Hong Kong Responded to SARS,” International Journal of Hospitality Management, 25(1), 3-11. 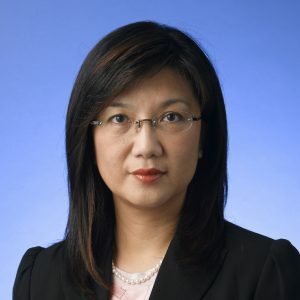 Stella Lai-man So (2005), “What Matters Most in Advertising Agency Performance to Clients: Implications and Issues on Their Relationship in Hong Kong,” Journal of Current Issues and Research in Advertising, 27(2). Stella Lai-man So (2004), “A Comparative Content Analysis of Women Magazine Advertisements from Hong Kong and Australia on Advertising Expressions,” Journal of Current Issues and Research in Advertising, 26(1). P. Polsa, Stella Lai-man So, and Mark William Speece (2004), “The People’s Republic of China: Markets within the Market.” In Handbook of Markets and Economies: East Asia, Southeast Asia, Australia, New Zealand, New York: Routledge. Leo Yat-ming Sin, Stella Lai-man So, Oliver H. M. Yan, and Kenneth Kwong (2001), “Chinese Women at a Crossroad: An Empirical Study on Their Role Orientations and Consumption Values in a Chinese Society,” The Journal of Consumer Marketing, 18(4), 348-367. Leo Yat-ming Sin, Suk-ching Ho, and Stella Lai-man So (2000), “An Assessment of Theoretical and Methodological Development in Advertising Research on Mainland China: A Twenty-Year Review,” Journal of Current Issues and Research in Advertising, 12(2), 53-69. Stella Lai-man So and Mark William Speece (2000), “Perceptions of Relationship Marketing Among Account Managers in Hong Kong’s Commercial Banking Sector,” International Journal of Bank Marketing, 18(7), 315-327. Leo Yat-ming Sin, Suk-ching Ho, and Stella Lai-man So (2000), “Research on Advertising in Mainland China: A Review and Assessment,” Asia Pacific Journal of Marketing and Logistics, 12(1), 37-65. Stella Lai-man So (1997), “Internet a Hong Kong e in China.” In Cuoa Notizie – Internet and Marketing, pp.39-41.